Bounds Green Area Guide - What makes Bounds Green so great? Where do Bounds Green locals go? Enjoy a round or two with your friends and family and the stunning views of London too! Boating lake, golf course, deer sanctuary - this park has it all! A beautiful, airy, bright gym with a spa and a fresh water swimming pool, which means no stinging eyes and great for children! They also put on excellent exercise classes too and there's no minimum contract. A fantastic day out for all the family all year round! An impressive music venue hosting great bands such as Slayer, to Jack White, to the Prodigy! A great road full of so many different cuisines that goes on for miles. Great Turkish restaurants! Share your favourite place to go to in Bounds Green. "Alexandra Palace, or 'Ally Pally' as it is affectionately known, was built as an exhibition hall in 1873. However, it burnt down only a few days after its inauguration and was rebuilt in the following 2 years." Bounds Green is an amazing area to live in. Having stayed here since 1986, I have grown up in this area. It's greatest asset is the multitude of services and amenities available to its residents such as three GP surgeries, Bounds Green Health centre, four independent NHS Dental practices, a scout park for kids. The area has numerous excellent schools and nurseries located within a half mile radius of the excellent tube station Bounds Green which is on the Piadilly line and serves Heathrow airport. Another great asset for this area is Bowes Park train station from which one can travel to the CIty ( Moorgate ) in 20 minutes and thereby avoiding the rush hour of the tube.Another great asset of this are is the friendliness of its people, who are drawn from a multicultural world and bring their freshness and hard working nature with a smile thrown in to this place. A 3 minute car ride from Bounds Green lies Alexandra Palace where there are acres of space for joggers, a b oating lake, a skating ring for kids. The Annual Ally-Pally Guy Fawlkes Fireworks display is a sell out every year and draws crowds from near and far. Bounds Green also benefits from very easy reach ability of Muswell Hill Golf club, which is one of the finest Golf Courses in the UK. Another asset for Bounds Green is the multitude of small grocery shops and restaurants around Bounds Green station which include a Bar and Fish and Chip and Kebab shops together with an Indian restaurant plus Tesco express store. lovers of Greek food will fine one of the most popular Greek restaurants in Middleton road parade of shops in the area.A short distance away is the mall in Wood Green ...and the area has very efficient buses which serve this area 24/7 including a Night bus (N91).Another asset is the excellent parks and gardens fluttered around Bounds Green....whether the Albert Road Recreational Ground or the parks comprising the array of the Pimms Brook trail or a very reachable Broomfield Park ...which is a short walk and is a treasure trove. For young families looking for a host of amenities, this area offers real value for money. For middle income families, Bounds Green offers the ability to own fairly large Edwardian houses at prices not to be seen elsewhere in London for the same level of amenities.It is a real pleasure living in Bound Green. The quiet streets. The green parks nearby. That feeling of living outside London but being in London. I love coming home and I love calling it home. Bounds Green is peaceful and close to Wood Green where there are many Turkish restaurants. It's ideal for single working people and also Ally Pally is a walking distance for those who like to jog or de-stress along the small lake. Overall good value for money area. What do you think of Bounds Green? 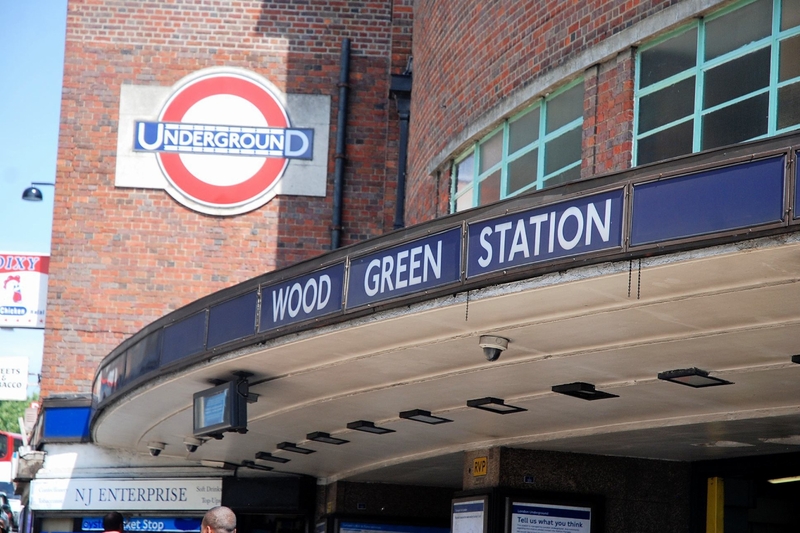 What are your favourite things about Bounds Green? Find out how much your flat or house is worth om Bounds Green. Feedback about living in Bounds Green has been submitted directly by the public and may not neccessarily reflect the views of Foxtons. The description of Bounds Green was modified from Wikipedia and is available under the Creative Commons licence. Land Registry data is Crown copyright. All the views and contributions contained within Foxtons Local Life are those of the contributors. All content is assessed before publishing for taste, however free opinion is encouraged. Foxtons accept no payment or sponsorship for content that is posted about Bounds Green.